Chapman, L. K., & DeLapp, C. T. R. (2015). Nine-session treatment of a blood-injection-injury phobia with manualized cognitive-behavioral therapy: An adult case example. Clinical Case Studies. Chapman, L.K., DeLapp, C.T.R., & Williams, M. T. (2015). Cognitive-Behavioral Treatment of Social Anxiety among Ethnic Minority Patients, Part 1: Understanding Differences. Directions in Psychiatry, 33(3), 151-162. Chapman, L. K., DeLapp, C.T.R., & Williams, M.T. (2015). Cognitive-Behavioral Treatment of Social Anxiety among Ethnic Minority Patients, Part 2: Bridging the Gap in Treatment. Directions in Psychiatry, 33(3), 163-176. Lyle, K. L., Chapman, L. K., & Martin, J. (2013). Is Handedness Related to Anxiety? New Answers to an Old Question. Laterality: Asymmetries of Body, Brain and Cognition, 18(5), 520-35. Petrie, J., Chapman, L. K., & Vines, L. (2013). The clinical utility of the Positive and Negative Affect Scales-Extended Version (PANAS X) in predicting anxiety disorders in African American adults: A receiver operating characteristic analysis. Journal of Black Psychology, 39 (2), 131-155. Chapman, L. K., Petrie, J., & Vines, L. (2012). The factor structure of the SCL-90 in a community-based sample of African American adults. Psychiatry Research, 199, 2, 140-144. Mendoza, D. B., Williams, M., Chapman, L. K., & Powers, M. (2012). Minority inclusion in randomized clinical trials of panic disorder. Journal of Anxiety Disorders, 26(5), 574-582. Williams, M. T., Chapman, L. K., Wong, J., & Turkheimer, E. (2012). The role of ethnic identification in symptoms of anxiety and depression. Psychiatry Research, 199, 31-36. Chapman, L. K. (2012). Foreword: Anxiety assessment and treatment in ethnic minority adults and children. Journal of Anxiety Disorders, 26 (4), 487. Owen, J. J., Chapman, L. K., Quirk, K., Inch, L. J., France, T., & Bergan, C. (2012). Processes of change in relationship education for lower-income African American couples. Journal of Couple and Relationship Therapy, 51-68. Chapman, L. K., Petrie, J., Vines, L., & Durrett, E. (2012). 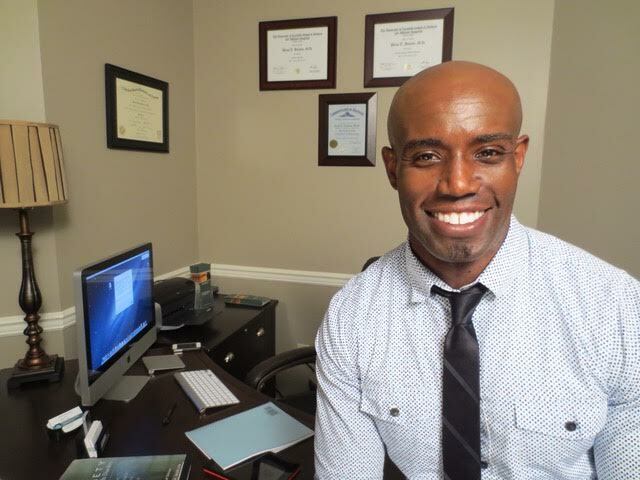 The Co-occurrence of Anxiety Disorders in African American Parents and Their Children. Journal of Anxiety Disorders, 26, 65-70. Chapman, L. K., Vines, L., & Petrie, J. (2011). Fear factors: Cross validation of specific phobia domains in a community-based sample of African American adults. Journal of Anxiety Disorders, 25(4), 539-544. Chapman, L. K., & Steger, M. F. (2010). Race and religion: Differential prediction of anxiety symptoms by religious coping in African American and European American young adults. Depression and Anxiety, 27, 316-322. Chapman, L. K., & Woodruff-Borden, J. (2009). The impact of family functioning on anxiety symptoms on African American and European American young adults. Personality and Individual Differences, 47, 583- 589. Chapman, L. K., Williams, S. R., Mast, B. T., & Woodruff-Borden, J. (2009). A confirmatory factor analysis of the Beck Anxiety Inventory in African American and European American young adults. Journal of Anxiety Disorders, 23, 387-392. Chapman, L. K., Kertz, S. J., & Woodruff-Borden, J. (2009). A structural model analysis of psychological distress and perceived control on worry in among African American and European American young adults. Journal of Anxiety Disorders, 23, 69-76. Chapman, L. K., Kertz, S. J., & Zurlage, M., & Woodruff-Borden, J. (2008). A confirmatory factor analysis of specific phobia domains in African American and Caucasian American young adults. Journal of Anxiety Disorders, 22 (5), 763-771. Harvison, K. W., Chapman, L. K., Ballash, N. G., & Woodruff-Borden, J. (2008). Anxiogenic patterns in mother-child interactions.Child and Family Behavior Therapy, 30(2), 137-152. Kertz, S. J., Smith, C. L., Chapman, L. K., & Woodruff-Borden, J. (2008). Maternal sensitivity and anxiety: Impact on child outcome. Child and Family Behavior Therapy 30 (2), 153-171. Wilson, S. P., Kipp, K., & Chapman, L. K. (2004). Limits of the retrieval inhibition construct: List segregation in directed-forgetting. The Journal of General Psychology, 130(4), 359-379. Chapman, L.K., DeLapp, R, & Williams, M.T. (2014). Impact of Race, Ethnicity, and Culture on the Expression and Assessment of Psychopathology. 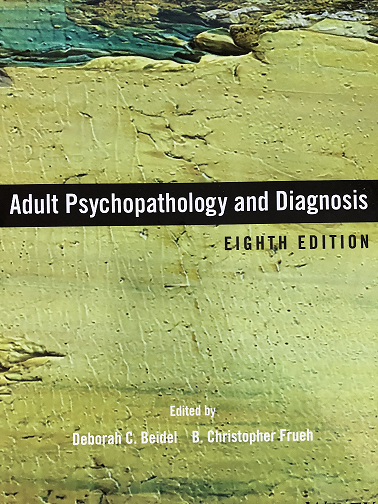 In Adult Psychopathology and Diagnosis, 7e, D.C. Beidel & B.C. Frueh, ed. John Wiley & Sons, Inc.
Meyer, B., Chapman, L. K., & Weaver, C. (2009). Case studies in Abnormal Behavior (8th ed.). Boston: Allyn & Bacon. Madson, M. B., Chapman, L. K., Wood-Barcalow, N., & Williams-Nickelson, C. (2005). (Eds.). Succeeding in practicum: An APAGS resource guide. American Psychological Association, Washington, D.C.
Chapman, L. K., Williams, M., & DeLapp, R.C.T. (to appear). Impact of race, ethnicity, and culture on the expression and assessment of psychopathology. In Adult Psychopathology (8th ed.). D. Beidel and C. B Frueh. Hoboken, NJ: Wiley. Williams, M. T., Chapman, L. K., Simms, J. V., & Tellawi, G. (to appear). Cross-Cultural Phenomenology of Obsessive-Compulsive Disorder. 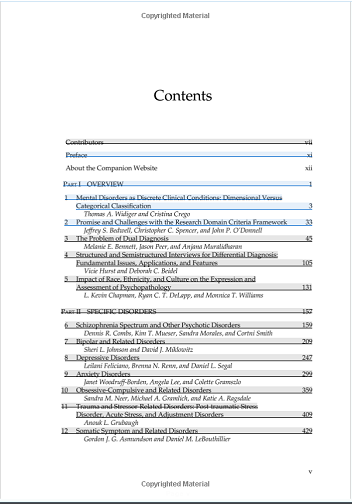 In Storch, E., Abramowitz, J., & McKay, D. Handbook of Obsessive Compulsive Related Disorders. Williams, M. T., Chapman, L. K., Buckner, E., & Durrett, E. (2016). Cognitive Behavioral Therapy. In A. Breland-Noble, C. S. Al-Mateen, & N. N. Singh (Eds. ), Handbook of Mental Health in African American Youth. Springer. ISBN: 978-3-319-25501-9. A panic attack is a discrete period of intense fear or discomfort. Click the arrow above to learn more on treatment and and how Cognitive Behavioral Therapy (CBT) will help. Agoraphobia is a related condition that involves anxiety about being in situations where escape might be difficult or embarrassing in the event of having a panic attack. Click the arrow above to learn more on what you can do to treat your biggest fears.